WWE Superstar Dylan “Hornswoggle” Postl stars in Leprechaun: Origins, a brand new take on the horror franchise Leprechaun, reinventing the cult favorite and terrifying a new generation. The film will be available on Digital HD, Video On Demand and Pay-Per-View on August 26, and on Blu-ray (plus Digital HD) and DVD (plus Digital) on September 30. Also starring Stephanie Bennett (Grave Encounters 2), Andrew Dunbar (Alien Trespass), Melissa Roxburgh (Diary of a Wimpy Kid: Dog Days) and Brendan Fletcher (Freddy vs Jason), Leprechaun: Origins was written by Harris Wilkinson and directed by Zach Lipovsky. 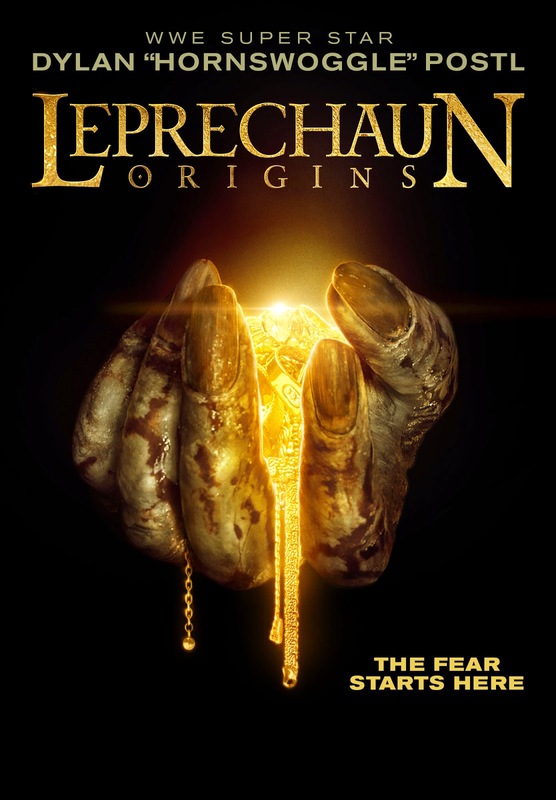 The Leprechaun: Origins Blu-ray and DVD include two behind-the-scenes featurettes and will be available for the suggested retail price of $24.99 and $19.98 respectively. In addition, Leprechaun: The Complete Movie Collection, including all seven Leprechaun films on Blu-ray for the first time, will be available September 30th for the suggested retail price of $39.97. The collection features all-new bonus content including audio commentaries from the directors for the first six films, three “making of” featurettes plus never-before-seen behind-the-scenes footage and photos as well as all the special feature content from the new Leprechaun: Origins release.